Seven robbers have been arrested for robbing cash and jewellery valued at over Rs 1 crore from a businessman's house in south Delhi, police said on Thursday. Seven robbers arrested for robbing cash and jewellery from a businessman's house in Delhi. New Delhi: Seven robbers have been arrested for robbing cash and jewellery valued at over Rs 1 crore from a businessman's house in south Delhi, police said on Thursday. 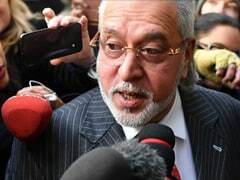 The accused were identified as Sonu Gupta, Mohammad Imtiyaz Ali, Ramjan Ali, Sudhir, Aakash, Rupesh Kumar Singh, the kingpin and a former employee of the victim, and Sudhir, a current employee. They were arrested from Delhi, Uttar Pradesh, Bihar and Nepal after police teams examined the previous and current records of businessman Naseeb Chand Aggarwal's employees. On June 13, Mr Aggarwal alleged that seven armed and masked men committed the robbery at his residence in Nehru Enclave. Mr Aggarwal deals with imported fabrics and stays on the fourth floor of a building where he has a showroom on the ground floor. He told the police that on the day of the crime, he had gone to a gym. When he returned home, he found his wife and servant had been assaulted, said Deputy Commissioner of Police Romil Baaniya. The men fled with Rs 10 lakh in cash and 10-15 boxes of gold and diamond jewellery valued at Rs 1 crore, Romil Baaniya said. During investigation, it became known that Rupesh Singh, a former employee of Mr Aggarwal, and his friend Sudhir, who works as a store manager in Aggarwal's showroom, executed the crime.